Richard Gadd is to appear as a drag queen in the TV film about the night Kenny Everett and Freddie Mercury smuggled Princess Diana into a gay cabaret bar dressed as a man. 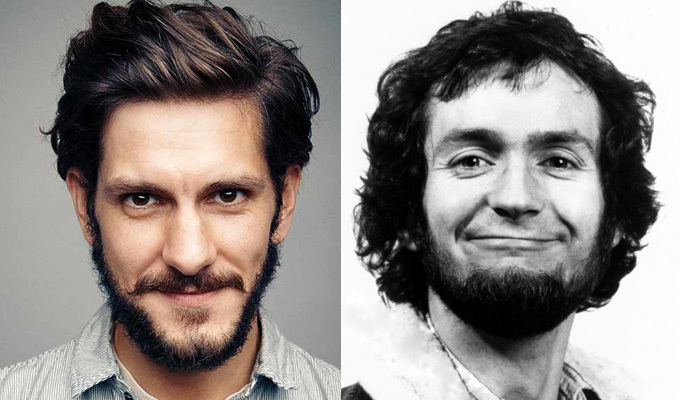 Yesterday, Chortle revealed how Mat Baynton is to play Everett in the project, which is being made for Sky Arts’ Urban Myths series. Now we can also disclose that Edinburgh Comedy Award winner Richard Gadd, will play Gareth, a cross-dresser whose fictional encounter with Diana is at the heart of the film. The piece – Princess Diana, Freddie and Kenny – is inspired by the story that the trio, along with Everett’s sidekick and friend Cleo Rocos, went to South London’s Royal Vauxhall Tavern, which is notorious for its outrageous drag acts, in 1988. Sophie Rundle – who plays Ada Shelby in Peaky Blinder and Labia in Episodes – will take the part of Diana, while David Avery, who played Mercury in last month’s Urban Myth, Backstage At Live Aid, will be reprising the role of the Queen frontman. Diana’s trip to the gay bar was disclosed in Rocos’s memoirs in 2013. She recalled that all four of them had been hanging out at Everett's flat, improvising explicit dialogue over an episode of The Golden Girls. And when they decided to continue their night out at the gay bar, Diana said she wanted to join them. She 'wanted the thrill of going in undetected to order one drink and would leave right away, she promised,' wrote Rocos. ‘She tried on the outfit Kenny had intended to wear: a camouflage army jacket, hair tucked up into a leather cap and dark aviator sunglasses. Diana, who had become pals with Everett as she was a fan of his TV show, managed to order a white wine and beer without incident, and the group dropped her off at Kensington Palace later. Baynton is currently adapting his and James Corden's BBC comedy-drama The Wrong Mans for a US remake and will shortly be seen playing the country parson Bute Crawley in ITV's adaptation of Vanity Fair. His manic laugh has previously been compared to Everett's. Mindhorn's Sean Foley will direct the film, which had the working title One Normal Night, and this fictional version of events has been written by Pete Jackson, who penned Radio 4's Love In Recovery. It is being produced by Zoe Rocha at The Fyzz Facility. The short film follows the Vauxhall Tavern's own dramatisation of the events as a cabaret musical last year, which featured comedian Carrie Marx playing Diana, Joe Morrow as Everett and Desmond O’Connor, who wrote it, as Mercury. Writer-actor Oli Lansley previously played Everett in the 2012 BBC Four biopic Best Possible Taste: The Kenny Everett Story.